New Delhi-based Partiko has been selected for Facebook’s developer-focused program FbStart which caters to the early-stage, mobile-focused startups. This startup program was launched last year by social network giant Facebook. 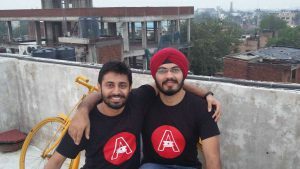 Event discovery app Partiko, was founded by IIT-Roorkee alumni Amanjot Malhotra who later collaborated with Gaurav Saini, ex payTm engineer for technical expertise. After graduating in 2013, Amanjot worked with couple of tech start-ups before starting up with the entrepreneurial stint. The website went live this year, and currently has over 15000 users. The startup is now focusing on MUN`s, startup, college and music events and also plans to expand to Mumbai and Bangalore. In the next 6 months, the platform plans to go social and aim to engage more users. Also, the focus will be on to take the revenue in eight digits. They further added that their current focus is to enhance user-experience and grow the user base. The startup will face competition from Bookmyshow, explara and meraevents which are already big and established players in the market. However, the founders believe that their product will be able to offer much more in the coming months and also there is always room for improvement. In August, ET had reported that the Mark Zuckerberg-founded and led company has distributed more than $21 million worth benefits to startups in India and more than $50 million worth benefits to startups in Asia through its FbStart program. Read Funding News.